Our daycare services are the best anywhere, because our staff are not only genuine dog fanatics, but are trained to understand dog body language, how to manage social groups, and doggie first-aid. And now we have daycare 7 days a week! Learn more about our daycare services, including pricing! 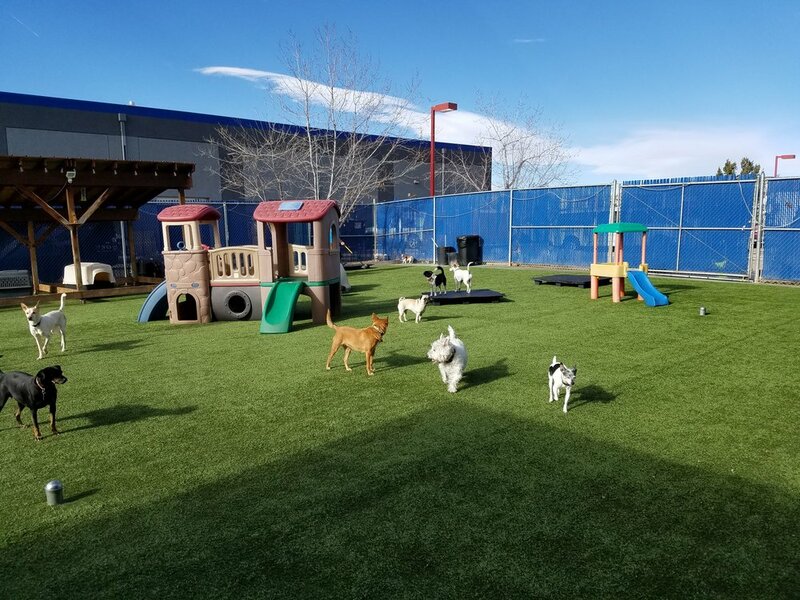 Boarding at Bowhaus includes full days of daycare, so your dog can hang out, play, and simply enjoy being a dog with other dogs before being tucked in at night in their own private kennel. We make sure they have everything they need to stay happy and healthy throughout their visit. Learn more about our boarding services, including pricing and what to bring for your dog! We know you're busy and that your dog has no sympathy! If your dog is staying with us, we're happy to take them out for some extra exercise and sniffing adventure they so instinctively need. Learn more about our additional services, including pricing! Please note- These baths are not performed by our groomer. If your dog has over a 1 inch or double coat we will add an additional $10 for a quick brush out. You must register online and call to make a reservation before bringing in your dog(s). Before registering, please be sure you have read and understood all information about the services you are interested in, and don't hesitate to let us know if you have any questions! Thank you.